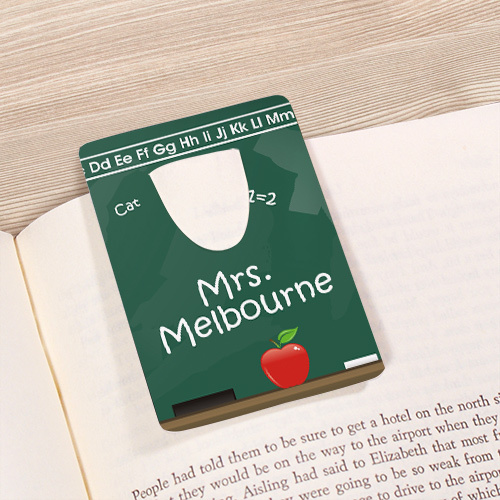 Create the perfect book accessory for your child's teacher that looks great and is helpful to mark the ending of every chapter. These bookmarks make perfect personalized teacher gifts and comes with any two line message. Buy personalized gifts for teachers today! It is a perfect gift and not too exspensive. It is more personal because of the name engraved on it!